We just printed 8 beautiful fabric banners with our new HP latex printer. They look great! Vibrant colors and a nice soft look. What’s neat about the latex printer is that we can do printing directly on fabric, which is less expensive than dye sublimation and looks just as good. 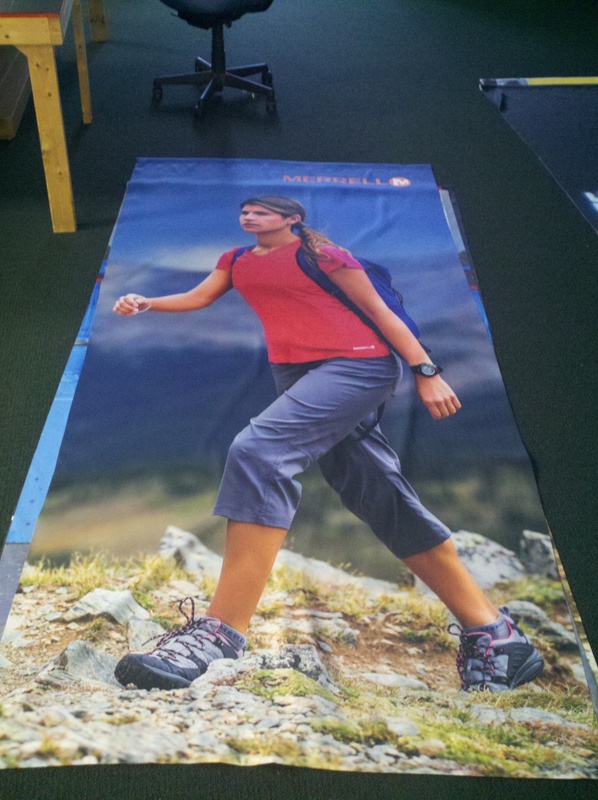 We can also turn around short runs of fabric banners in a few days, allowing you to get things in the stores quickly. Usually we put pole pockets in the top and bottom of fabric banners. You put a pole through the top for hanging, and then a smaller one in the bottom pocket to give it just enough weight to hang straight. This entry was posted in Banner Stands, Fabric Banners and tagged cloth banners, fabric banners, retail banners, store banners. Bookmark the permalink.